South Ocean Grill is our baby. 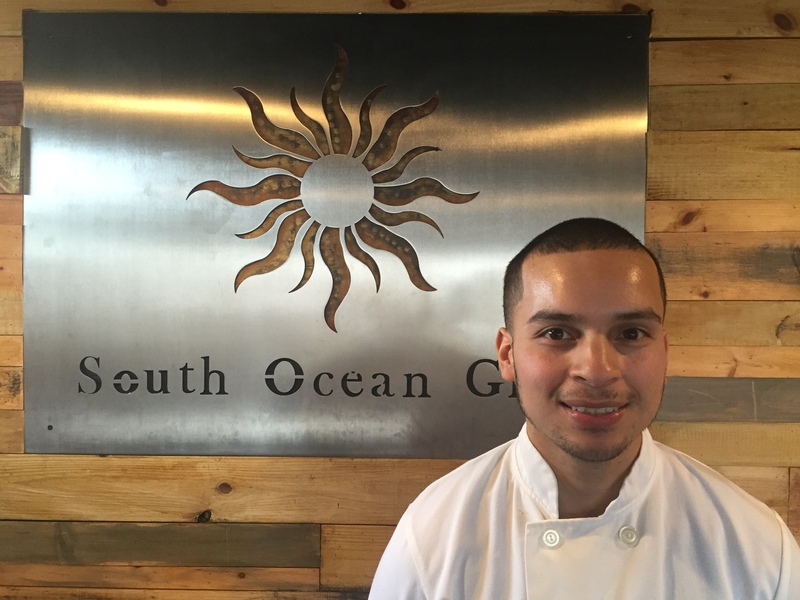 Chef-owner Hirbin Manzanares and his wife Jackie brought their love for Patchogue and fresh, creative food to the community in April of 2015 by opening South Ocean Grill. Right on the water in the heart of Patchogue village, South Ocean Grill is quaint, cute and perfect for Long Islanders from the South shore and beyond. After their first year, Hirbin and Jackie have fallen in love with Patchogue. Serving their regulars with their own creations brings a real sense of pride as South Ocean Grill finds a home in the Patchogue community. With a creative menu and handcrafted cocktails to please every palate, South Ocean Grill is great food in a beautiful setting served and prepared the way it should be - with love. Dining at South Ocean Grill is like dining at Hirbin and Jackie's home - the epitome of a Mom and Pop business in a culinary landscape dominated by franchises and large corporations. Stop in for a drink, say hello and enjoy food the way it's meant to be - simple, honest and delicious!